Ponda, known as Antruz Mahal because of the concentration of culture, music, drama and poetry also houses the temples of Lord Mangesh (Shiva), Lord Nagesh, Lord Ganapati, Lord Ramnath and the Goddesses Mhalasa and Shantdurga. The city of Ponda lies about 28 kilometers south-east of Panaji and 17 kilometers north-east of Margao and is also the capital of Ponda Taluka. The town was born after the Portuguese took over the area in 1791 from the Raja of Sonda and annexed it along with Quepem, Canacona and Sanguem forming the New Conquests. It began as an administrative center with the establishment of administrative offices and court and soon became a commercial center. Most of the area known as Ponda today was a part of “Quela” village. It lies strategically along the main Panaji-Margao highway and is also connected to the neighboring state of Karnataka via the Ponda-Belgaum highway or the NH-4. Today it is an industrial city with many large factories and industrial estates nearby. Goa College of Engineering is located at nearby Farmagudi. 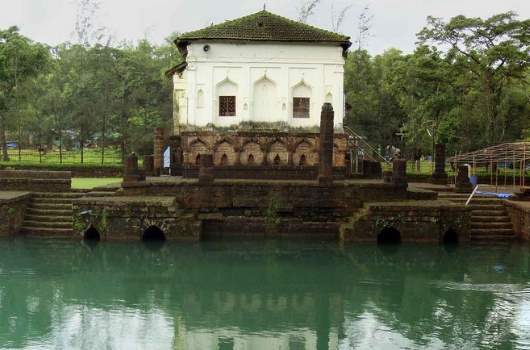 Ponda taluka is most famous for its temples, most of which have made the area their home for centuries following displacement from their original sites elsewhere in Portuguese occupied Goa during the early days of the Inquisition. Ponda is also the gateway to Goa’s wildlife sanctuaries, both the Bondla and the Mahavir Wildlife Sanctuary and also the Dudhsagar Waterfalls. The temples are concentrated in two main clusters: the first to the north of Ponda, on the busy NH4, and the second deep in the countryside, around 5 km west of the town. Most people only manage the Shri Manguesh and Shri Mahalsa, between the villages of Mardol and Priol. 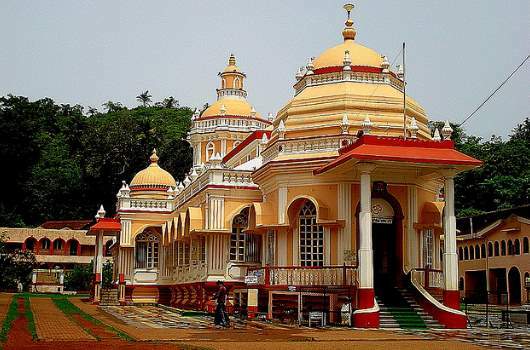 Among the most interesting temples in the state, they lie just a stone’s throw from the main highway and are passed by regular buses between Panjim and Margao via Ponda. The others are farther off the beaten track, although they are not hard to find on motorbikes: locals will wave you in the right direction if you get lost.